The Ikea in Coquitlam, B.C. has added a bit of Canadiana to its Swedish-inspired menu. Want some fries with your Flisat? Some gravy with your Gronlid? One of two Ikea locations in Metro Vancouver has added a bit of Canadiana to its Swedish-inspired menu. The furniture store in Coquitlam is selling poutine for $5.99 a serving until May 1. Known for its meatballs more than anything, Ikea has been branching out with a menu that now includes vegetarian options, organic coffee and responsibly-sourced seafood. The company has also been trying out new menu items, including the Quebecois dish in Coquitlam this month, which other locations in Canada have made permanent. It's also tested other items through limited-time offers, including a food event that occurred at another Metro Vancouver location three weekends last month. "Ikea Richmond's Dim Sum combo was a huge hit with customers and co-workers alike, so we may see it come back again in the future," Ikea's Maja Boricevic said in an email to CTV News Vancouver. Boricevic said more food events are planned for both B.C. Ikea franchises soon, though details are still being worked out. 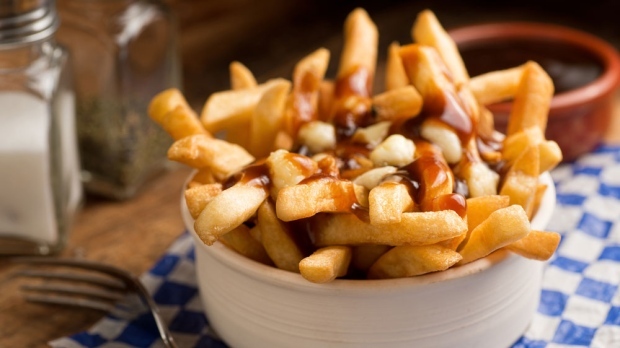 Poutine was popular enough in Winnipeg, Quebec City and Boucherville, Que. to be made permanent, but it is not yet known whether it will stay in Coquitlam. Each Ikea store has the option to try menu items catered to its market, Boricevic said. The reaction online has been mixed. Many commented on a CTV News Vancouver post week, tagging their friends and suggesting trips to the store, but others said they weren't impressed. One woman wrote that she'd tried it, but the serving of fries was too small for the amount of gravy she got. And a few joked about whether they'd need an allen key to eat it. "Will you have to assemble it yourself?" a West Vancouver Twitter user quipped. "It comes in small boxes and you have to put it together yourself," a Vancouver man wrote on Facebook.